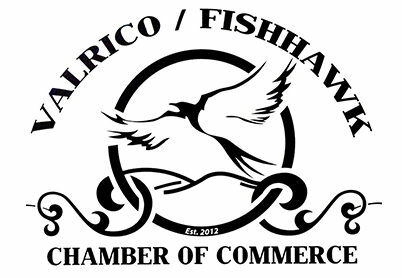 The Valrico FishHawk Chamber is growing by leaps and bounds. We’ll be adding to these member benefits as our membership grows- Many hands make light work! You can help us help you by getting involved. 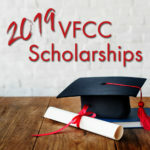 You can join a committee, sponsor a meeting, donate to our featured annual charity of choice and most of all attend meetings and ribbon cuttings. Members can host a Ribbon Cutting during their grand opening celebration or Anniversary. The Chamber will add the event to the Chamber calendar and include on any communications. To arrange a Ribbon Cutting, please contact Jeanne Baldi with Birthdays to Banquets at birthdaystobanquest@gmail.com. Download the Ribbon Cuttings checklist. We have many opportunities for you to get your business in front of other members and the community at large. Your traditional Chamber meeting format with plenty of networking and refreshments. We’ll spend just a few minutes on Chamber business. Mark your calendars for the 4th Thursday of every month 5:00-7:00 at the Landing. Bring plenty of business cards! Visit the Sponsorship page for details on how to sponsor an event. Your traditional Chamber meeting format with plenty of networking and breakfast provided. Learn more about utilizing Chamber benefits while networking with fellow members. Mark your calendar for the second Tuesday of every month 9:00-10:00am at RiverHills Country Club. Please arrive by 8:45am. Bring plenty of business cards! Visit the Sponsorship page for details on how to sponsor an event. Held before the General Assembly meetings at 8:15am to learn how to get the most of your Chamber membership. Learn how to use the benefits of your Chamber membership to the fullest to grow your business and receive your new member plaque. Throughout the year the Chamber will host special events that range from to community activities, the Shop Local event and our Annual Dinner. Each event will bring with it opportunities for advertising and sponsorship .